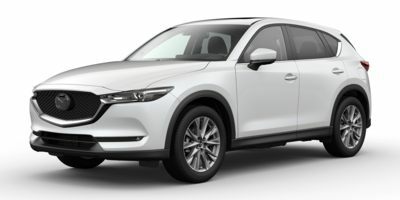 Buying a 2018 Mazda CX-5, and saving $4250 off of MSRP. Buying a 2017 Mazda CX-5, and saving $5500 off of MSRP. Wonderful experience helping my son purchase his first new car. Great experience, couldn't have asked for a better car purchasing experience. Buying a 2017 Mazda CX-5, and saving $250 off of MSRP. 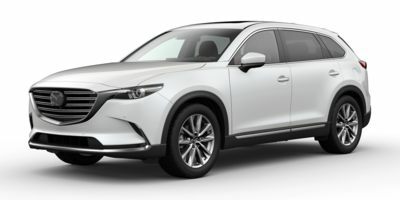 Buying a 2018 Mazda CX-9, and saving $3750 off of MSRP. Buying a 2017 Mazda CX-9, and saving $3000 off of MSRP. Buying a 2012 Mazda Mazda3, and saving $1000 off of MSRP. Leasing a 2012 Mazda Mazda3, and saving $1000 off of MSRP. Buying a 2011 Mazda Mazda3, and saving $2000 off of MSRP. Buying a 2011 Mazda Mazda3, and saving $500 off of MSRP. I negotiated at 3 different garage for the same car and one dealer said we will sell you at cost so I used Car Cost Canada cost to negotiate the cost price plus 200$ to pay the salesman and that was it. Saved an extra $200 using Car Cost Canada. Buying a 2010 Mazda MAZDA3, and saving $4000 off of MSRP. This particular dealership (Bank Street Mazda) was chosen due to their location and them offering the best price. I never mentioned once the CCC report to them but knew from the info in that report what rebates were available to consumers and what to expect in terms of 'fair price'. After some time negotiating, we obtained a price that end up being $3800 cheaper than the MSRP (after taxes/fees). I was also contacted by CCC's 'chosen' or 'preferred' dealership, and quoted a price that was exactly $1000 more than what was paid at Bank Street for the exact same car. I thought them being the preferred dealership would have yielded a similar deal, but this wasn't the case. Although I technically ended up getting a better deal myself by more than $500, the info in the report was big-time useful in giving us confidence and helping us 'hold the line' during the negotiations at Bank Street. Buying a 2010 Mazda MAZDA3, and saving $2000 off of MSRP. I chose Mazda because its an affordable import that has low maintenance costs. The dealer experience was quite difficult and in the end I did not get my first choices on a lot of things. I don't think I will ever buy a Mazda ever again due to the frustration and lengthy time it took to get my vehicle, as well as the complications of not getting what I really wanted. Buying a 2010 Mazda MAZDA3, and saving $1000 off of MSRP. Buying a 2008 Mazda MAZDA3, and saving $1500 off of MSRP. With the wholesale price report, there was simply no need to negotiate. Make sure you are prepared with the "desired" numbers when they fill the paperwork however, there is still an opportunity for them to fill it with MSRP numbers rather than the wholesale price numbers. Don't be afraid to bring your Car Cost Wholesale Price Report to the dealer. They know you got it and the will not waste your time. Buying a 2009 Mazda MAZDA3, and saving $2000 off of MSRP. This helped in the negotiations tremendously. I did not tell the sales person that I had the information so when I gave him my bottom line it was way out of what they were willing to give me but when I mentioned that I had used Car Cost Canada, it changed. This is my first vehicle and I am very happy with the results. Don't be shy to show the dealer your carcost report up front. We made it very clear what discount(s) we were expecting and were prepared to walk away if the dealer could not meet our expectations. Bank Street Mazda isn't afraid to negotiate since they sell a high volume of cars. Buying a 2008 Mazda MAZDA3, and saving $4000 off of MSRP. Make sure you visit this website as well before you go to any dealership: http://www.insidercarsecrets.com/ This site helps with all the little tricks dealerships try to play on you. Buying a 2009 Mazda MAZDA3, and saving $1500 off of MSRP. This is my 3rd purchase using CarCostCanada. I've discovered that that CCC can benefit you in two ways: (1) it provides you with a baseline for fair negotiations and (2) it enables you to get great offers from dealers which you can use to shop around to other dealers you'd prefer to deal with (in my case, because the dealer I purchased from was much closer to my home). Don't be afraid to go too close to the wholesale cost, even on "low markup" vehicles. I discovered with this purchase that dealers can and will cut into the freight/pdi component to earn your business if they really want it. Buying a 2008 Mazda MAZDA3, and saving $1000 off of MSRP. Negotiations were quite easy as soon as I told the dealer that I am a member of CarCostCanada, with just a bit of push for the bottom line, they realized that I'm serious and I was able to get the car for 3% over the invoice. Nevertheless, the Sales rep. was very honest and helpful from the beginning. 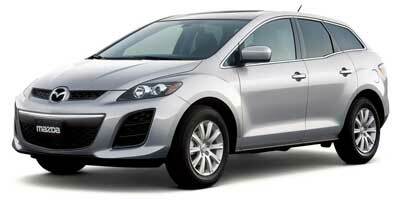 Leasing a 2008 Mazda CX-7, and saving $3000 off of MSRP. Always take the print out with you, helps to show you know what you are talking about. 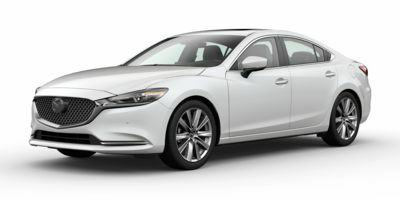 Buying a 2010 Mazda MAZDA6, and saving $2000 off of MSRP. Buying a 2010 Mazda MAZDA6, and saving $3000 off of MSRP. Buying a 2009 Mazda MAZDA6, and saving $4000 off of MSRP. 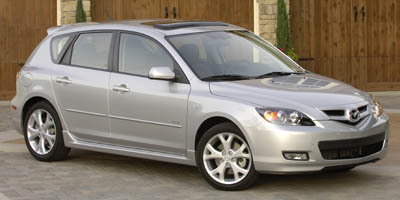 Buying a 2009 Mazda MAZDA6, and saving $3000 off of MSRP. 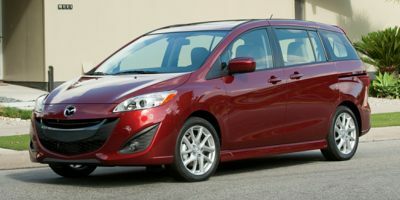 Buying a 2010 Mazda MAZDA5, and saving $4000 off of MSRP. Buying a 2010 Mazda MAZDA5, and saving $1000 off of MSRP. This was the only dealer in Ottawa to offer the vehicle to me for 3% over invoice with no hassle after I mentioned I had the car cost Canada price. Sean responded within minutes of me sending my price quote request to Bank Street Mazda via the Internet. If you contact Sean, please tell him that you were recommended to him by Graham Bennett. The vehicle I purchased was ready for pickup within 2 days. All negotiations were done over the phone and he agreed to a firm price. There were no surprises. Sean is the Internet Sales Manager ([email protected]). You may get better deals towards the end of the month. My savings also included a $2000 manufacturers rebate in addition to the money I saved by only paying 3% over invoice. Buying a 2009 Mazda MAZDA5, and saving $2000 off of MSRP. The sales rep saw my printout from CarCostCanada and just gave me the "dealer cost" price. At the time, there was also a cash incentive which was not being advertised by the manufacturer, and I would not have known about it if I had not used CarCostCanada. I got that discount also, as well as a few accessories - overall I got a good deal and a stress free purchase. Reg didn't try to get us to focus only on the monthly payment, which is the usual approach in our experience. He also didn't pressure us in any way in any of our several visits to the showroom. There was no time wasted - he saw our car cost printout and we settled right away for less than 3.2% over wholesale. Buying a 2009 Mazda MAZDA5, and saving $3000 off of MSRP. - Bank Street Mazda was the only dealer in Ottawa willing to pass through the full factory to dealer rebate of $2500 on the Mazda5. - Negotiated bottom line price via email advising dealer I had CarCostCanada information and went into sign the deal the next day. - Very straight up dealership and Sales Manager. Buying a 2008 Mazda MAZDA5, and saving $1500 off of MSRP. It is important to run all of your numbers on the websites provided by the various manufacturers. While dealerships will tell you that those numbers are wrong, give or take a little, they fall within the wholesale price. The information from carcostcanada was very helpful in managing my expectations on the small margins that exist in this business these days. I was upfront about the fact that I knew what their wholesale price was. This helped us get to a good number faster. Buying a 2008 Mazda MAZDA5, and saving $1000 off of MSRP.